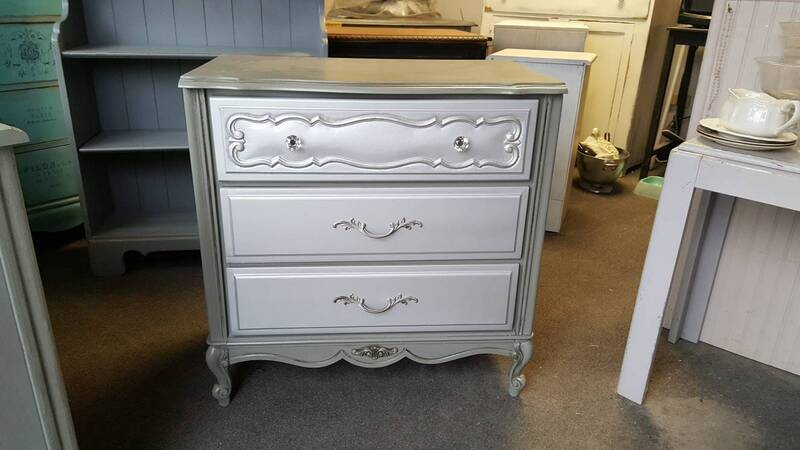 Vintage French Provincial dresser, chest. 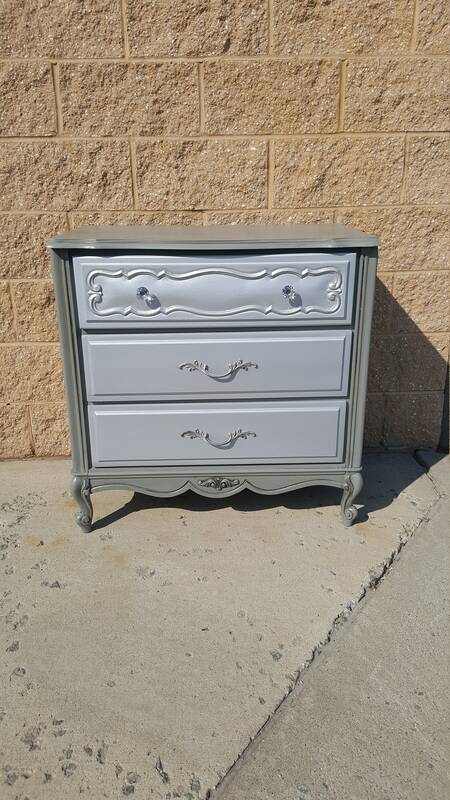 This dresser measures 30''wide 18''deep and 31 tall. 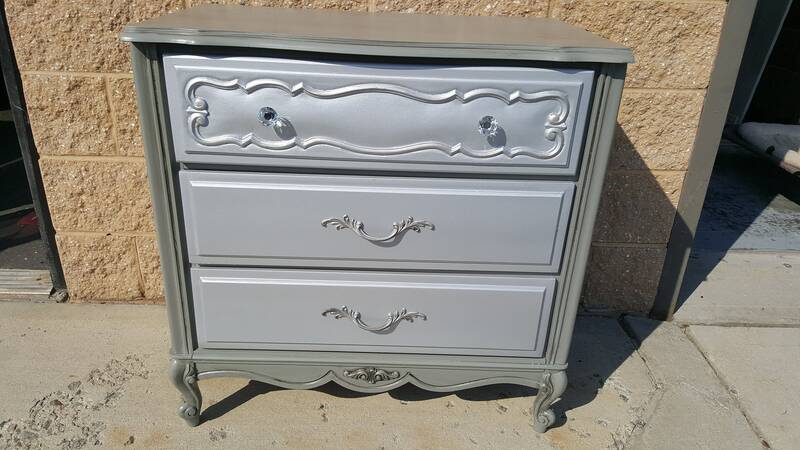 This dresser has 3 drawers that open and close easily. 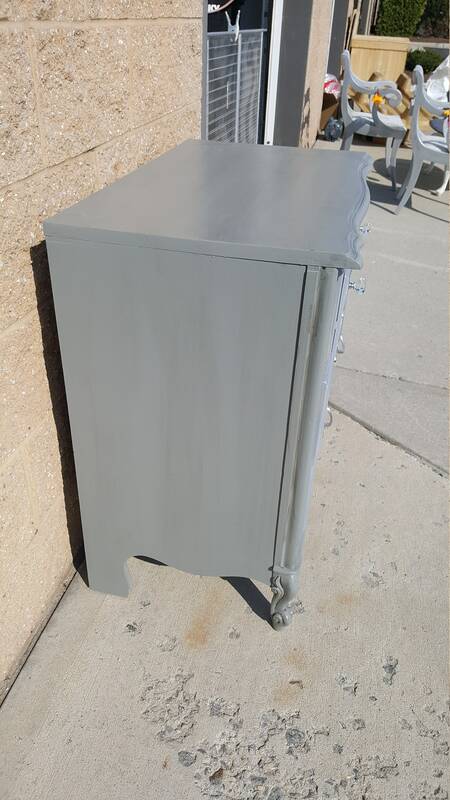 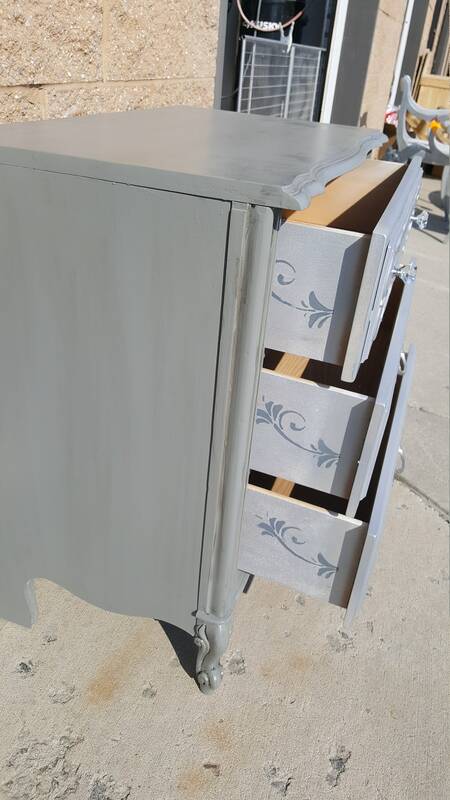 I painted the body of the dresser in dark gray, benjamin moore, secret and I painted the drawers a silver metallic. 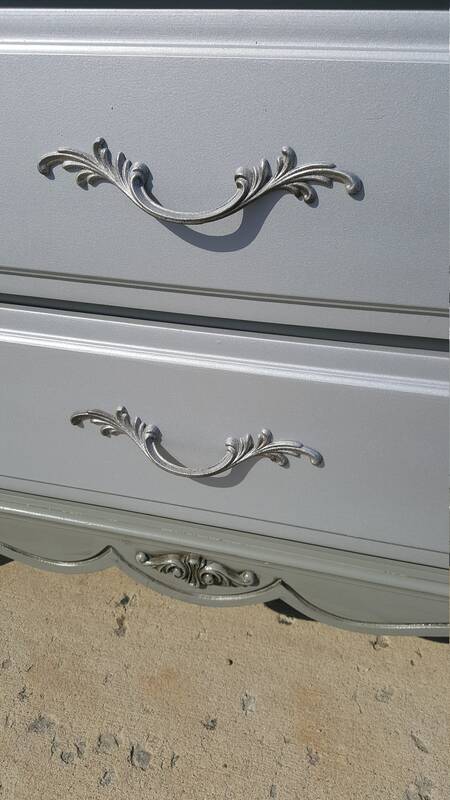 I added a dark antique glaze to the outside of th dresser I also painted scrollwork on the sides of the drawers. 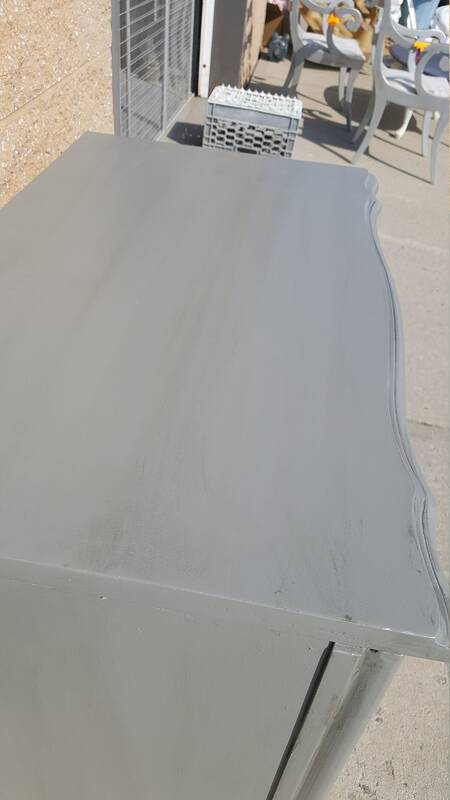 Completely polyurethaned.